This is the place to check out all of the Mustang related contests AmericanMuscle and others have to offer. 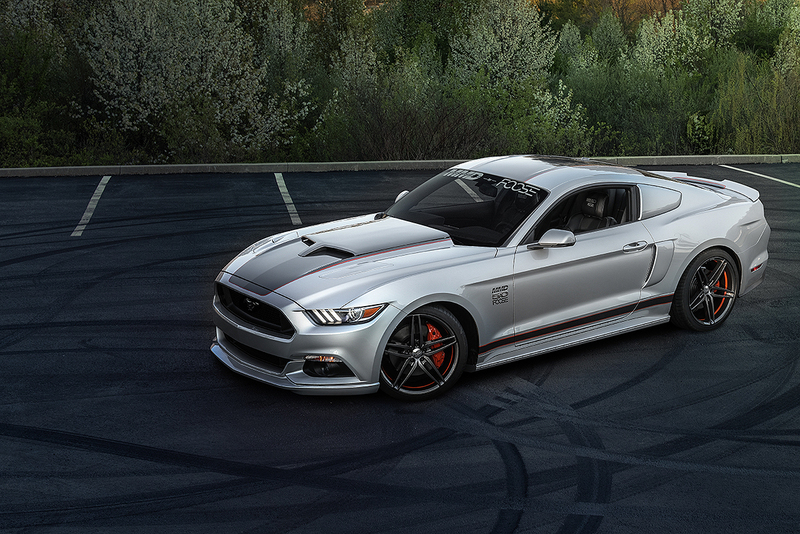 Don’t let the chance to own this 800+ HP 2015 Mustang designed by MMD and Foose pass you by! Enter to win now before the contest is over! Legendary designer Chip Foose and MMD have just unveiled the MMD by Foose Mustang, but the best part is, you could win it! Enter Today as the contest ends 8/3/2015! The Bama Performance Team is currently running the Bama Custom Build Contest which is a dream come true for one lucky person! Purchasing a 2015 Mustang? AmericanMuscle and Forgestar have teamed up to giveaway the very first set of Forgestar wheels for the 2015 Mustang! Project Coyote vs. Project ??? – Name Our ’06 Mustang GT! With your help, and after combing through thousands of submissions, we’ve named our 2014 Mustang GT Project Coyote. Now, were pitting that 2014 GT against another not-so-typical grabber blue Mustang: a 2006 GT. We’re going to place these cars–and the AM crews building them–against one another for an eventual track day showdown. But first, we need your help naming the 2006 grabber blue Mustang! It’s time to get creative and leave us a comment letting us know what you think our latest project car should be called. As the social media craze continues, Ford decided to integrate its Mustang Customizer with Facebook followers and offer participants 4 chances to win their very own, personally designed Mustang. Basically, you build and design your dream Mustang and use Facebook to share your design with others and accumulate points, or entries into the contest. For Valentine’s Day, Ford selected the last winner, Jennifer G. and had Vaughn Gittin Jr. deliver the very car she created and customized. What Mustang Parts Would You Buy With $1000? Throughout the month of April, many of you who bought Wheels & Tires from us may have noticed a GIANT Golden Ticket inside the box when it arrived. I hope you held onto your ticket, because I’m about to announce the winner of a $1000 AmericanMuscle shopping spree! Name These Mustang Parts and One Could be Yours! Everybody loves a challenge, and we have one for you guys! Below are cropped images taken directly from the main website picture of six different parts. If you guess all six of them correctly, you could win one. The rules are simple, all you have to do is find the pictures the images shown below were taken from and fill out the entry form before midnight on July 28th. Each entry with all six pictures listed correctly will be entered into a drawing. The winner of the drawing will get to pick one of the parts below as their prize, and will be announced on the blog on July 30th. Good luck! All entries must be made using the form below, and submitted before midnight on July 28th. All correct entries will be put into a drawing to determine the winner. The winner will get to select one of the parts as their prize. You can submit multiple entries, but please don’t send the same entry more than once. Please submit a link to the page where you find the picture of the part on the website. Parts are numbered 1-6, clockwise from top left.